Look for classes at Studio 540 below. Click button for additional summer workshops in the area. 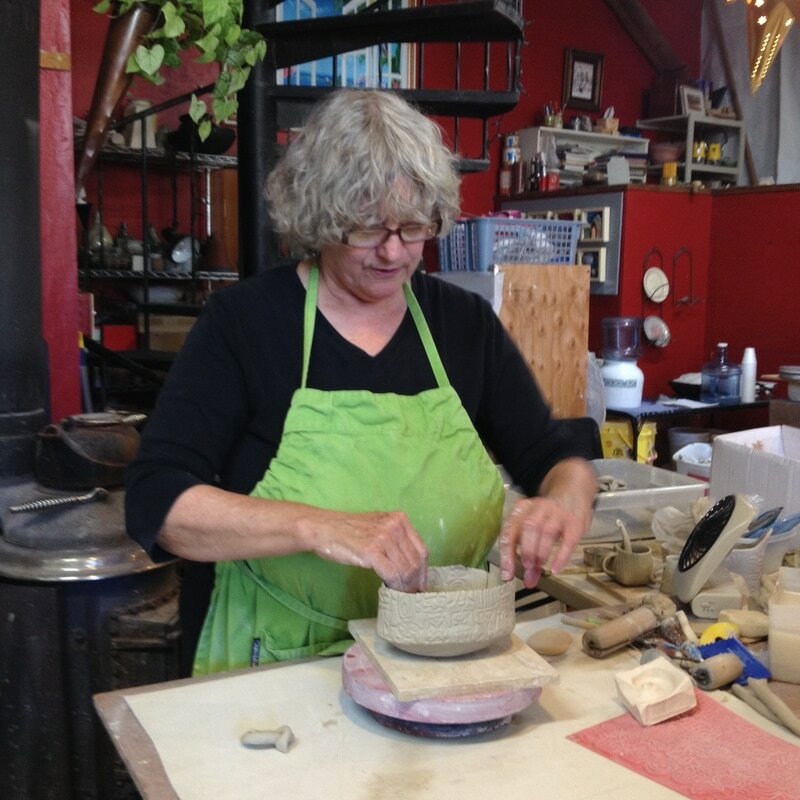 Hone your skills throwing and altering large bowls on the potters wheel! This class is for experienced students who can throw at least an 8" cylinder. Date: August 26 & 27, Sat. and Sun. This class will focus on Teapots and Tea Cups. Cost for any class: $225 for 8 weeks, includes clay, glazes and firing. Firing is to cone 10 in a gas kiln. Cost: $160, does not include firing. In this 2 day workshop, we will be building a number of new forms working from Lynn’s templates. She will share tips on altering and designing your own templates, also. Of course there will be a lot of textures used including her old and a handful of NEW texture mats. Come prepared to explore, play, make new things and have a lot of fun.